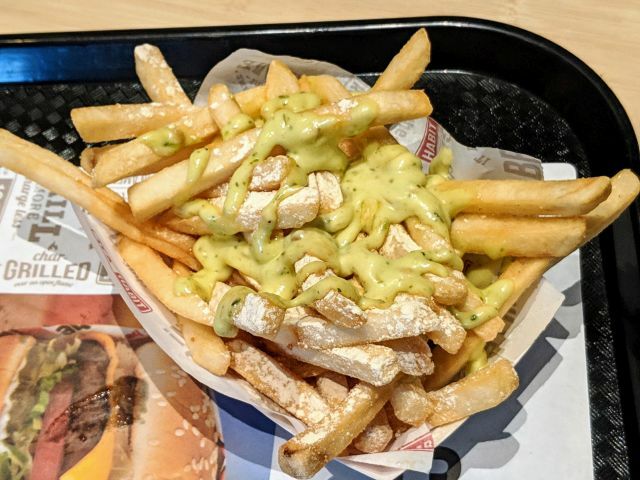 The Habit's Garlic Herb Fries features French fries sprinkled with garlic seasoning and smothered in a house-made buttermilk garlic herb sauce. I paid $2.99 for an order. The fries on this occasion weren't freshly fried and did not offer much in the way of crispiness or crunch as a result. While they weren't so great in texture, the fries were lightly salted and served as a nice platform for the seasoning and sauce. The garlic seasoning is a fine powder with an almost flour-like consistency. Rather than a sweet roasted profile, it offered the sharp bitterness of raw garlic. Likewise, the buttermilk garlic herb sauce delivered more of the same for a very strong and slightly acrid note of garlic throughout. The sauce was creamy but not all that tangy or herb-y. 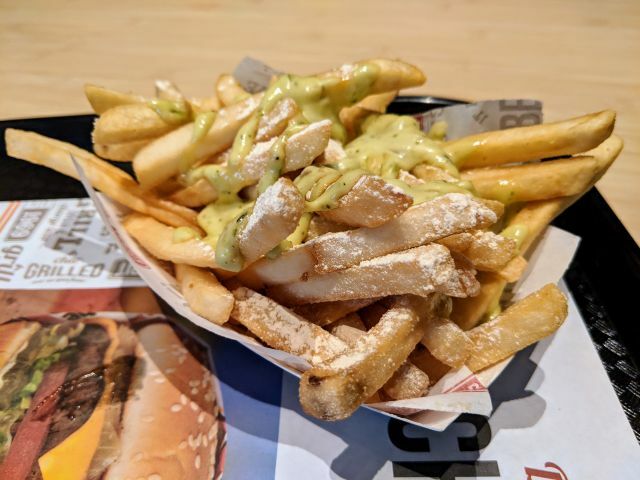 When it comes down to it, The Habit's Garlic Herb Fries were enjoyable enough but actually a bit too garlicky for me (and I really like garlic) and somehow had more bite than raw garlic. The crispness of the fries (or lack thereof) can be hit or miss but didn't help on this occasion.